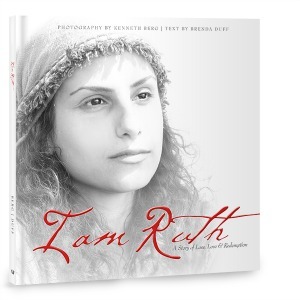 I Am Ruth is a beautiful, 4 chapter hard back book based on the life of Ruth and her family. The Story is brought to life by photographs actually taken in the area believed to be where Ruth and Naomi traveled and lived. The photography is stunning as is the text that reveals God’s truth about this story and what it means for us as travelers here on earth. Our lives mimic Ruth in our need for a Kinsman Redeemer, as Boaz was for her. Our Jesus is the same Kinsman Redeemer for us and will never leave us or forsake us. He provides just as Boaz took compassion on Ruth. The book includes scripture and Biblical stories of Abraham, Lot and even Rahab as they intersect with Ruth’s story. The book contains all of Ruth as well and shares insights into the times and life of the people during that time in history. This was an absolutely gorgeous books. A perfect addition to your study of Ruth and of bible history. It was easy to read, and full of depth. Mark your calendar for the Moms of Masterbook Facebook Party – September 24th at 9pm EST. You’ll have the opportunity to chat with the Masterbook Moms and win some FABULOUS prizes!! I love the Book of Ruth, and think this book does a beautiful job of bringing the story to life. I love books that are filled with pictures!